Q. How do I download industry reports in Value Line? 1. 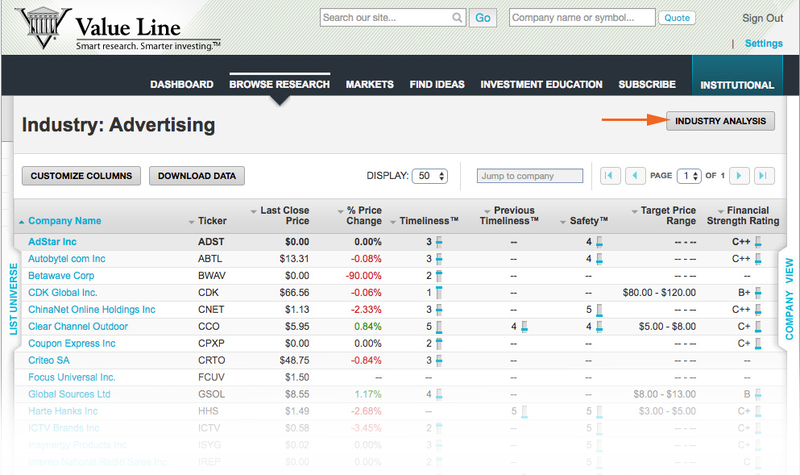 From the Browse Research tab, select and click Industry Screens, which will activate a dropdown menu. There, you can select one of approximately 100 industries. 2. 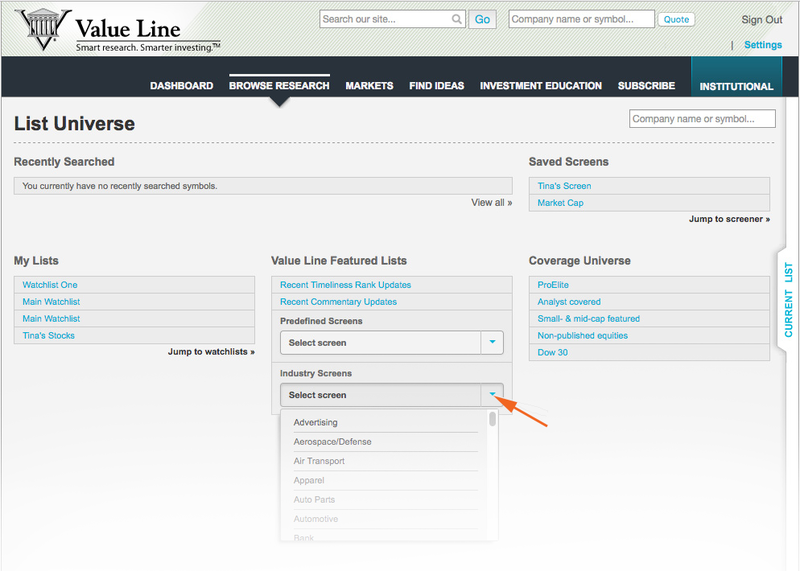 Selecting an Industry Screen (e.g. Advertising), will produce a list of results in the respective industry for you to view. From this screen, you are now able to select Industry Analysis to access a downloadable PDF report for the respective industry. 3. 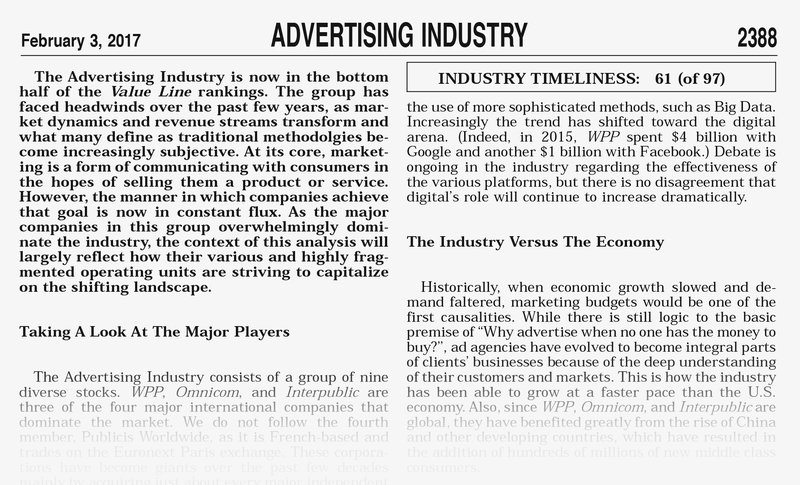 The following is a sample snapshot of the Advertising Industry Report.